Undoubtedly the godfather in Mod culture, Roger Daltrey CBE is one of the few musicians to have effortlessly transgressed from stage to screen. He is the man who gave a cultural revolution an anthem in My Generation and then went on to be nominated for a Golden Globe for his lead role in feature film Tommy. Considered one of the world’s all-time great singers, he is also an accomplished song writer and producer. But, as his recently published autobiography makes crystal clear, Roger Daltrey was never expected to shake off his humble, working class roots. In school, he was considered a rebel - something, at the age of 74, he has reflected on in Thanks A Lot Mr Kibblewhite: My Story - named after the now infamous teacher who told him he would never amount too much. 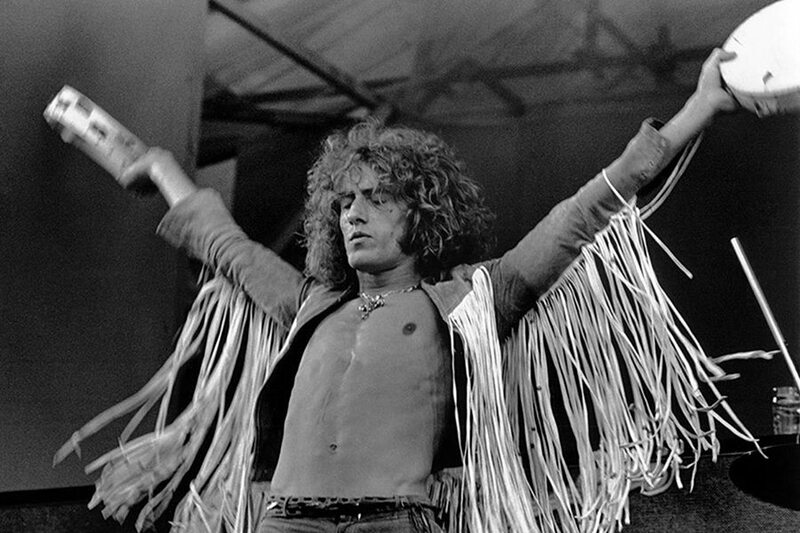 In a true rags to riches story, Roger Daltrey is the archetypal rebel who embraced a developing music scene in the 1950s and went on to make it his own. Intelligent from an early age, he passed the 11-plus with flying colours and attended a grammar school. He was already in a band, the Detours, when he was expelled for smoking. Daltrey ended up working as a sheet metal worker by day and playing the guitar in clubs and pubs by night. The Detours’ original line-up comprised Daltrey, John Entwistle, Pete Townshend, Doug Sandom and Colin Dawson. When Dawson left the band in the early 1960s, Daltrey, already the group’s driving force, took lead vocals. Later, Sandom was replaced on the drums by Keith Moon. The Who, a name suggested by Townshend’s friend Richard Barnes, replaced the Detours in 1964. 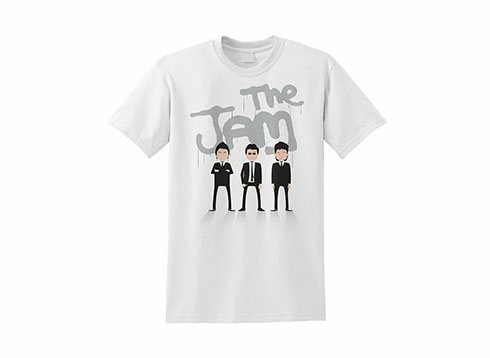 The change was forced upon the band after it was discovered an outfit of the same name already existed. For a brief period during the same year, the band was also known as the High Numbers. A year later, The Who produced their first hit, I Can’t Explain, written by Townshend. Quick to settle scores with his fists, Daltrey was forced out of The Who after a serious altercation with Keith Moon. He returned a week later and has since said the episode concentrated his mind on working hard to leave life in a sheet metal factory behind him. He went on to win the hearts and minds of those growing up in a rebellious era with My Generation, the single that set The Who on the path to global stardom. Renowned for capturing the essence of change in the generation that thrived on it, Daltrey had a knack for setting the pace. His scream in Won’t Get fooled Again has been described as a turning point in music history. The Who reached new audiences when Quadrophenia, a film inspired by their rock opera, hit the big screen in 1973. It starred Sting and Toyah Willcox, among others. The band’s fourth studio album, Tommy, inspired a film of the same title. Daltrey took the lead role, performing in front of the cameras with fellow musicians Elton John, Eric Clapton and Tina Turner, as well as Hollywood greats Oliver Reed and Jack Nicholson. His performance won him widespread acclaim, including a nomination at the Golden Globes for Best Acting Debut in a Motion Picture. Daltrey's acting credits include McVicar, which he also produced, The Comedy of Errors, Crossbow and Midnight Caller. He appeared as himself in the TV series How To Be Cool. By the time he was appearing on the screen, Daltrey was already a successful solo artist. Tensions with Townshend once saw Daltrey knock him out with a single blow. He has produced nine solo albums, the first of which, entitled simply Daltrey, produced one of his biggest solo hits, Giving It All Away. The albums have given him the freedom to collaborate with other artists, including Paul McCartney, BB King, Hank Marvin and Leo Sayer. In between filming, writing, producing and recording his solo albums, Daltrey has remained the unmistakable face of The Who. He has led the band on world tours, taking his brand of forever Mod music to the masses around the globe. The band has survived line-up changes, including the untimely death of Keith Moon in 1978. Roger Daltrey was awarded a CBE for his charitable work. As well as performing for Live Aid in 1985, he has supported the work of AIDS charities, The Princes Trust, PETA, the Teenage Cancer Trust, research centres and charities supporting breast cancer and Parkinson’s disease causes. Other charity work has supported the unemployed, young adults and a string of children’s charities. 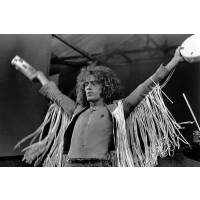 An outspoken supporter of Brexit, Daltrey was quick to back the Freedom of Information Act, saying it would give power to the man in the street. Roger Daltrey CBE is a man of many talents; one who encapsulated the spirit of a generation and went on to be the star of many others. His long list of honours reflect his outstanding achievements. He recently spoke fondly of Keith Moon, saying he was an underestimated talent. Perhaps, decades after the bust up that almost cost him his stab at fame, Daltrey has realised that without Moon he may never have realised that The Who was his one chance to prove Mr Kibblewhite wrong.